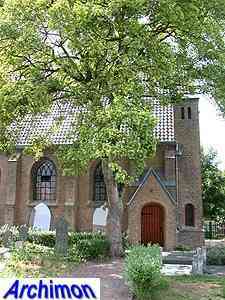 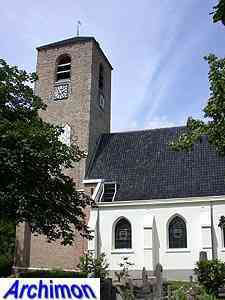 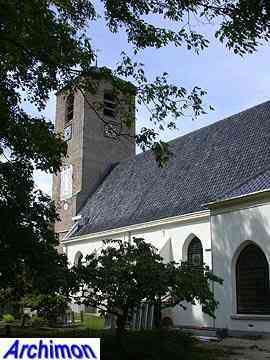 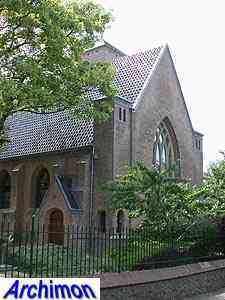 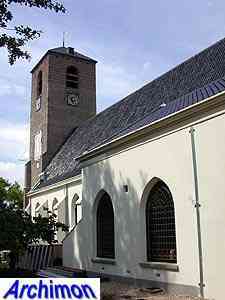 Lisse's oldest church is the current reformed church. 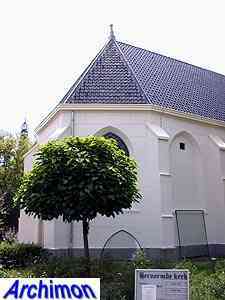 The church was preceded by a chapel on the same location, on top of a little hill. 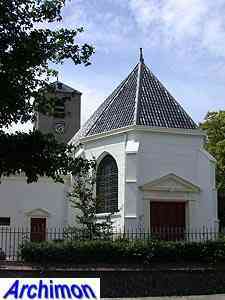 In 1460 the chapel became a parish church and was probably replaced by this bigger church. 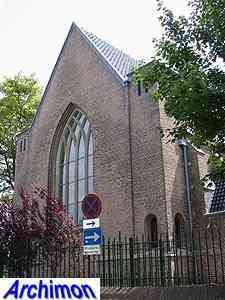 Like the current Roman Catholic church it was dedicated to St. Agatha. 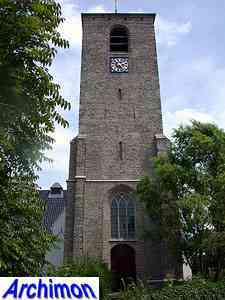 The tower probably dates from the early 16th century. 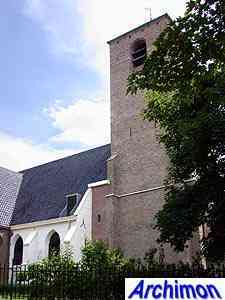 At first sight it looks Romanesque, partly because of the layer of tuff that covers the otherwise brick tower on the outside, but the entrance is clearly Gothic. 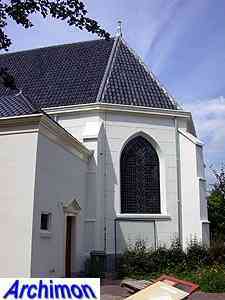 Between 1572 and 1574, during the 80-Years War, the church was destroyed. 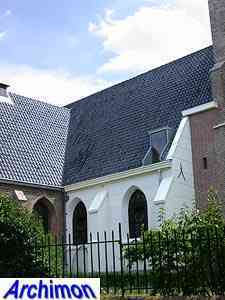 The nave was rebuilt in 1592, the choir in 1630. 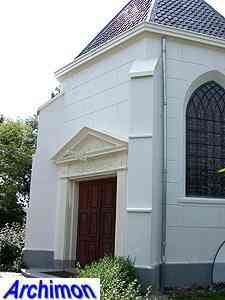 A seperate entrance at the backside of the choir was necessary because both parts of the church were seperated from each other by a wall. 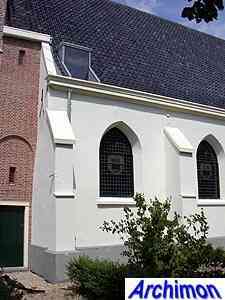 The church had become protestant by then, the white plaster coat indicates that it still is, and the choir had lost its original function. 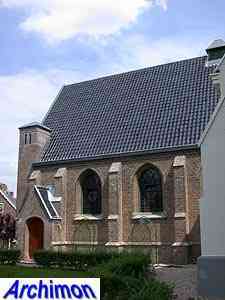 On the northside a transept-arm was built in 1923, in a Traditionalistic style with Gothic shapes.